The actor's iconic facial hair is taking time off. Jack Pearson just survived a close shave! 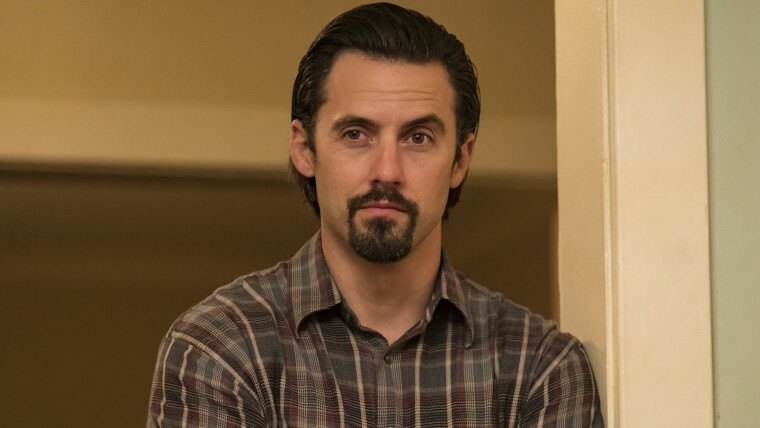 Sure, three weeks ago, "This Is Us" viewers watched as the beloved family Pearson took his (maybe) final breath, but it's actually Milo Ventimiglia, the actor who plays Pearson, that we're talking about here. The actor's facial hair — be it mustache, goatee or full beard — has become more than Papa Pearson's signature look. It also serves as a visual clue for fans wondering which part of the time-hopping plot they're watching. But Ventimiglia doesn't need to worry about that for a while. Filming for season two of the tearjerker finished last week, so the leading man recently found himself free to shed the 'stache. On Friday, as he left his on-set trailer behind, Ventimiglia shared a photo showing off his recent shave. "Officially wrapped #ThisIsUs season 2," he wrote alongside the shot. "Hope y’all enjoy the last few (episodes) Already can’t wait to get back for season 3." The fresh-faced star is sure to grow it all back again when he returns to the set next season. But viewers won't have to wait that long to see his facial hair again. Season 2 may be over for the cast and crew, but for fans, there are still two episodes left!